Armatherm™ is one of the leading suppliers of structural thermal break materials for the construction industry. 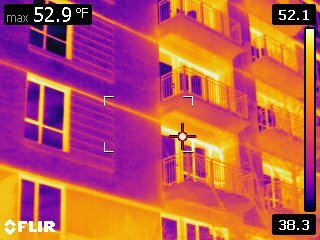 Our goal is to provide architects, structural engineers and building design professionals with effective solutions to prevent thermal bridging. Thermal bridging has been recognised as a significant factor in building envelope heat loss. Armatherm™ thermal break materials have low thermal conductivity and high strength and have been designed and tested to prevent thermal bridging. Armatherm™ thermal bridging solutions can be used anywhere a penetration or transition exists in a building envelope creating a thermal bridge. Armatherm™ structural thermal break materials minimise heat loss at balcony, canopy, parapet, masonry shelf angle and cladding connections.